Is the HTC One X+ on its way? A new, more powerful HTC phone is on the way if the latest benchmark listings from NenaMark2 are to be believed. The HTC PM63100 appeared on NenaMark's listings earlier this week, and revealed HTC's newest handset will come with a 1.7GHz Nvidia Tegra 3 processor. Not only was the GPU of the mystery phone revealed, but we also learned the phone will arrive with Android 4.1.1: Jelly Bean as the OS. 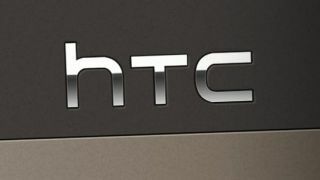 HTC has already released the HTC One X, complete with a 1.5GHz Nvidia Tegra 3 processor, but this latest listing points to the imminent arrival of a potential variant of the phone. It is believed the PM63100 is the code name for a T-Mobile release of HTC's flagship phone, which is rumored to be the One X+. The PM63100 easily earns the best score of all the other Tegra 3 devices benchmarked using NenaMark's test. Clocking in at a robust 58.5, the closest comparison comes from the Nexus 7 tablet, which averages a 57.52. Though this score is based just on one test - versus more than 500 for the Nexus 7 - the handset sets an impressive mark right off the bat is undeniable. With the release of T-Mobile's HTC One X+ speculated to be sometime in September, we likely won't have to wait long to find out just how this phone's power compares to other quad-core competitors like the Samsung Galaxy S3, or the Tegra 3-powered ZTE Era and LG Optimus 4X HD.